2014 saw some authentic and inspirational campaigns that were the focus of much public discussion. At this event we heard from Tim Harrison, research director at nfpSynergy, on why journalists engaged with the big charity social media campaigns of 2014, what opportunities and challenges charities face in harnessing global social media events and whether it is possible to manufacture a viral campaign. 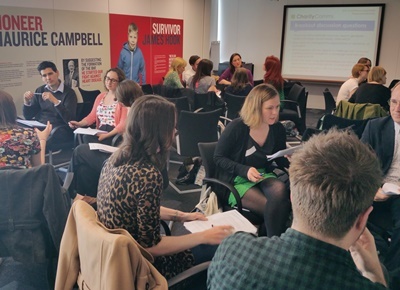 We also heard from Cat Ferris, PR officer at Girlguiding, on the PR work that went into the UK campaign, Free Being Me – including how they kept an old story 'fresh' in the eyes of the media, the steps they took to mitigate negative coverage, securing exposure and targeting key media contacts. If you'd like to be added to the PR Network mailing list please contact Harriet Smith.